A few weeks ago, I got sick of paintings. Not of art, but of paintings. We are fortunate to live in a society where the possible mediums for artistic expression continue to grow, where a major art prize can be won by architects. With so much to explore, why should artists stick to painting? Since then I’ve been exploring a mix of different mediums, and I’ve kissed and made up with painting. I never doubted that the form is ideal for exposing the self (as I discussed here), but I’ve realised that what was missing for me was the contemporary edge. I think that often when people think of painting they think (in broad terms) of either the very traditional, or the very abstract. Very different, both influential. And nowadays, very “done”. Painting should not just copy the style of the past – to remain relevant, the traditional medium has to find something new to do. Luckily, people still want to be artists, they still want to paint, and they are finding new things to say and do with paints. One of the most recognisable artists to have won the prize – David Hockney. ‘Peter getting out of Nick’s pool’, 1967. Since 1957, the John Moores Painting Prize has been showcasing the best in contemporary British painting talent. Some of the names which have won in the past have become extremely famous, such as Peter Blake, David Hockney and Richard Hamilton. Participating in the prize (2016’s show will exhibit 54 entrants) offers exposure and, for those shortlisted, some financial breathing space to continue to innovate. In its home at the Walker Art Gallery, there is a permanent exhibition of some of the previous prize winners. Having received images of the 5 shortlisted paintings in my inbox, I thought it useful to revisit these rooms to try and get a sense of what has been rewarded in the past, to see if it would provide clues to the future. Though of course, rewarding a prize based on meeting expectations would fly in the face of what the John Moores Prize should do. Which becomes obvious very quickly in the show. The mix of style and subject is, as you might expect, diverse. I was charmed by 2012’s winning Stevie Smith and the Willow by Sarah Pickstone, which felt very contemplative and regenerative. 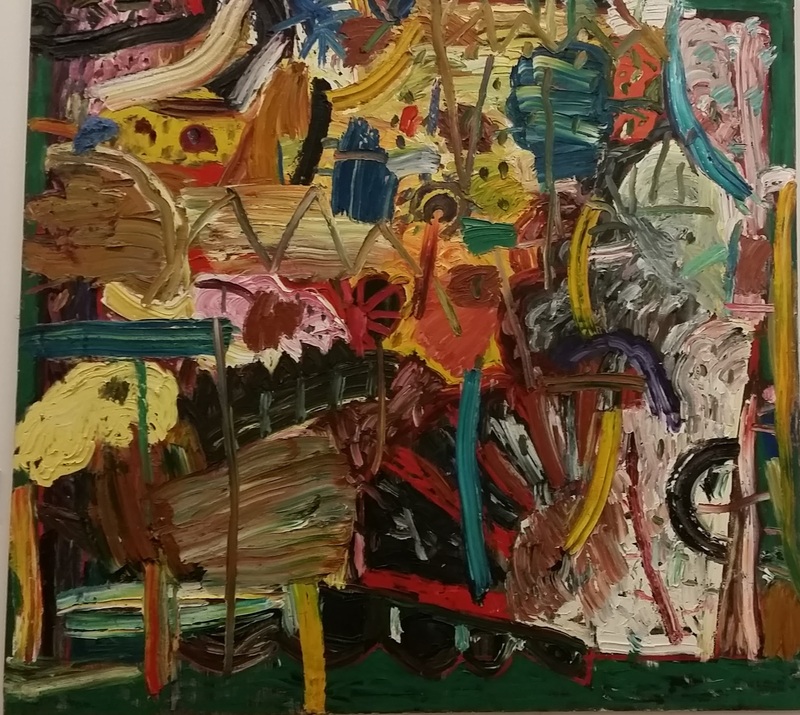 Others I was not so enthusiastic about, such as Gillian Ayres’ 1987 entry Aeolus. Despite its grand scale, I didn’t feel there was anything particularly special about this one. It would be boring to come to any art show and like everything, though, and I’m sure for some people Aeolus would be their top pick. At least it’s a painting about which you form an opinion, rather than just “being there”. Let’s look forward to the 2016 prize then, the winner of which is announced on Thursday 7th July. The jury have somehow managed to whittle 2500 entries down to a shortlist of just 5, which you can see below (click for larger images). Do you have a favourite? I’m looking forward to seeing each of these paintings in the flesh. I think each has its merits and a message which shows that painting is still a medium which carries meaning. I’m not going to say any more, though – until Thursday, you can try being the jury yourself! (Incidentally, the John Moores Prize show does have a separate prize for the public’s favourite artwork, so if you like any of the other 54 you can still get it recognised).